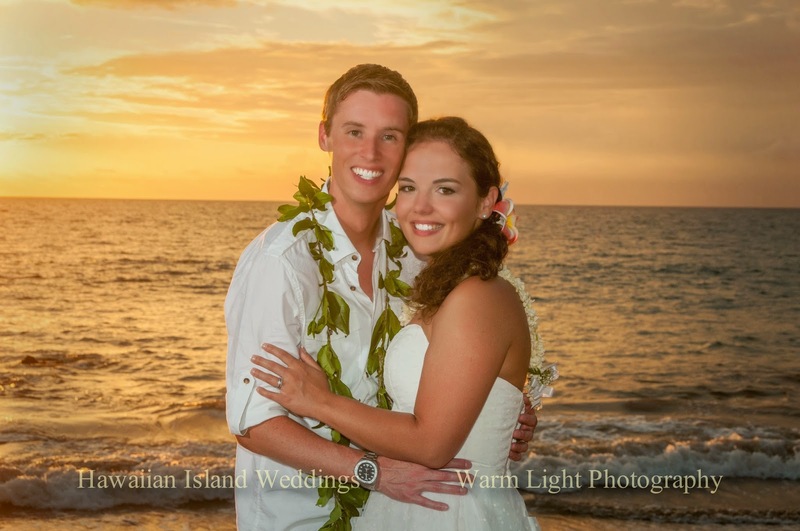 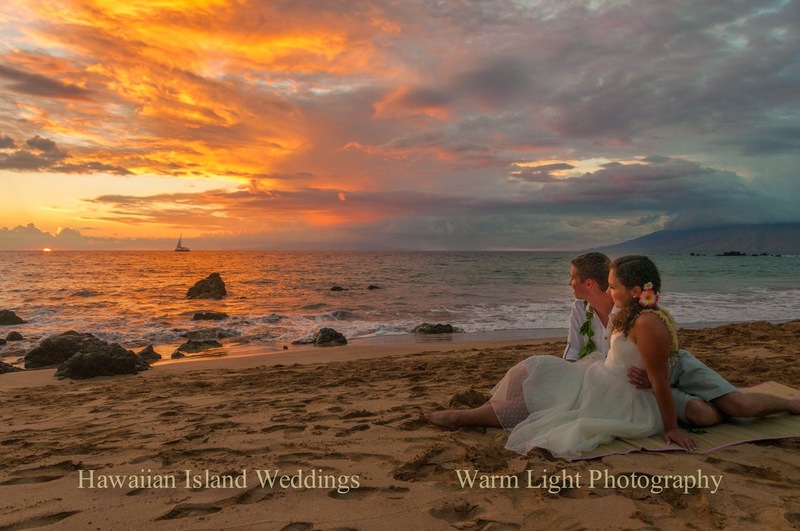 Jonathan & Kristen are a young couple who had always dreamed of being married in Hawaii on a beautiful beach at sunset. 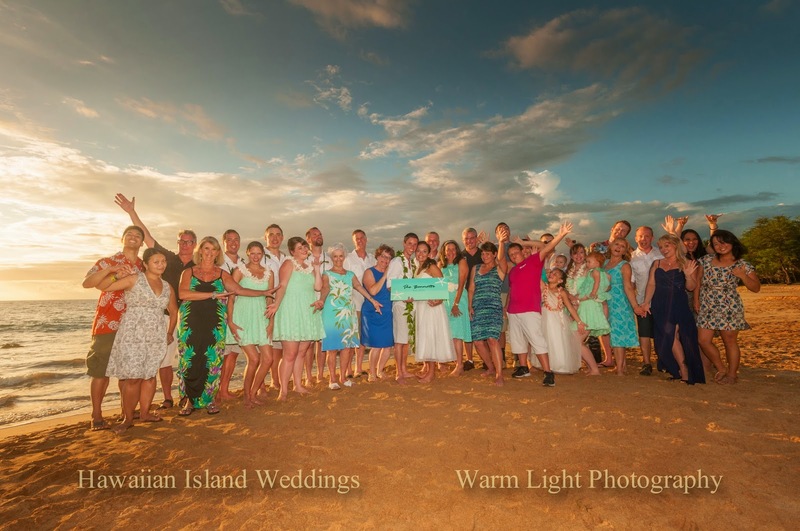 They arrived on September 27th and had plenty of time to spend with their 30 guests before their wedding day. 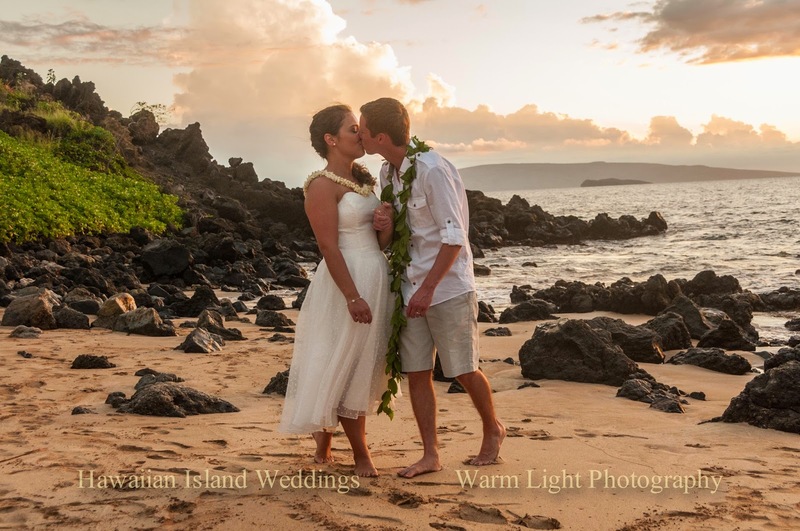 Their wedding started with a Rolls Royce limousine rolling up to meet them at the Grand Wailea Resort where they were staying. 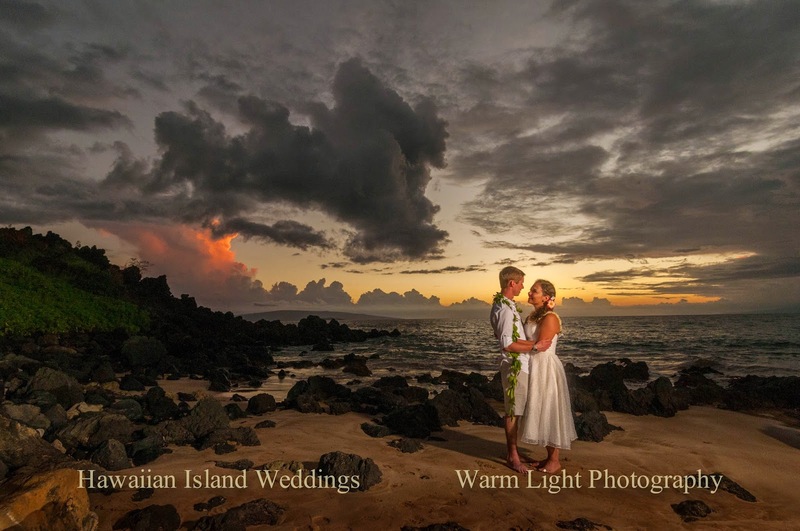 After they arrived at Palauea Beach in Wailea, they were greeted by coordinator Tim Clark and photographer Bruce Forrester. 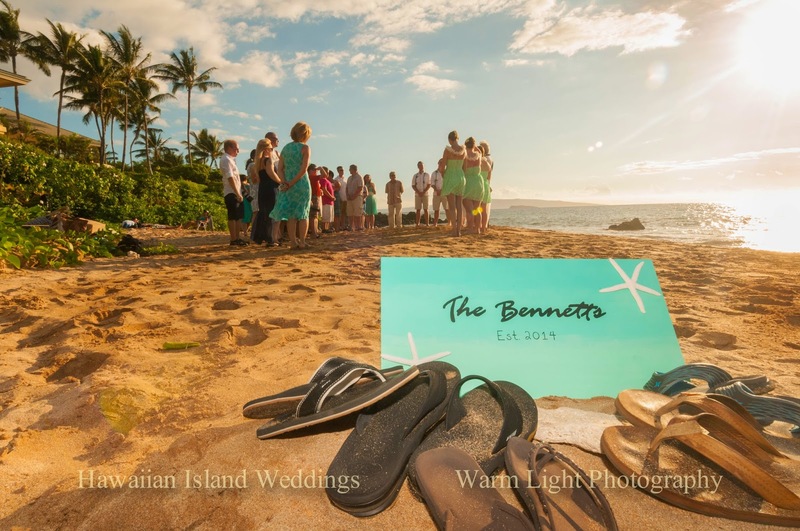 Jonathan & Kristen opted to show their aloha to their wedding party by giving the women fresh white orchid leis and giving the groom's attendants a keepsake "ti" leaf lei. 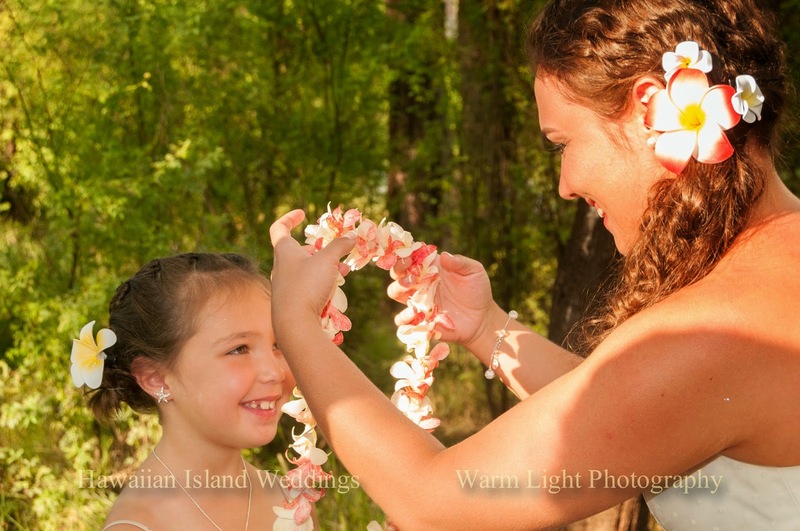 Their ceremony was presided over by veteran Hawaiian minister Rev. 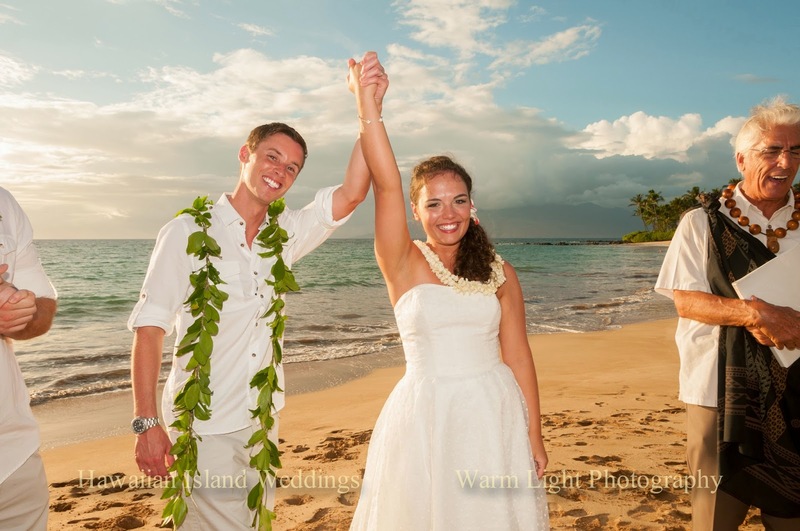 Keoki Sousa and afterwards they signed a very special Lei Aloha Lei Makamae wedding certificate. 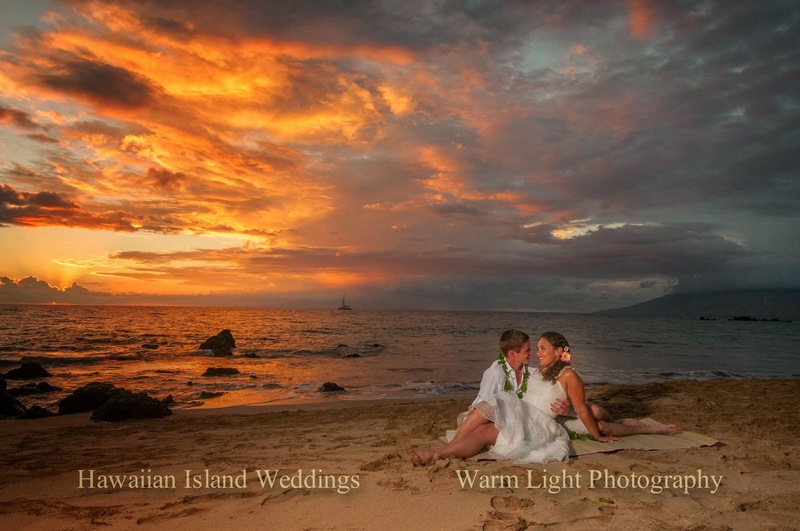 The couple had some great photos taken by Bruce Forrester.